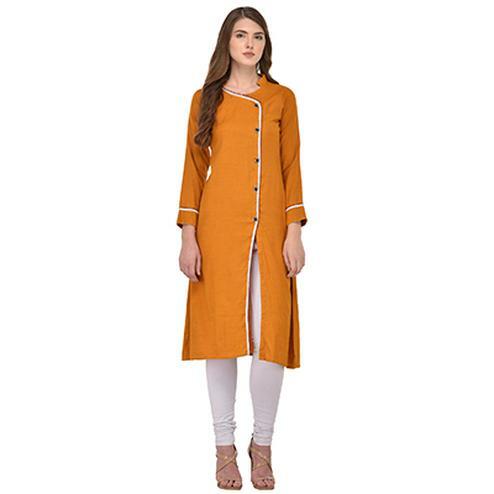 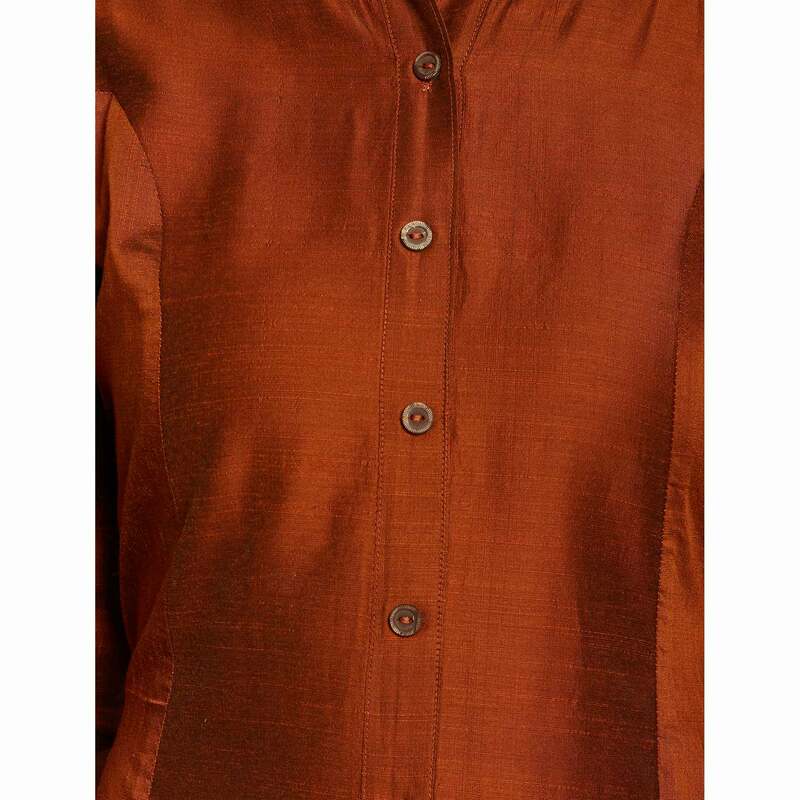 Add grace and charm towards the appearance in this pleasance rust orange colored kurti. 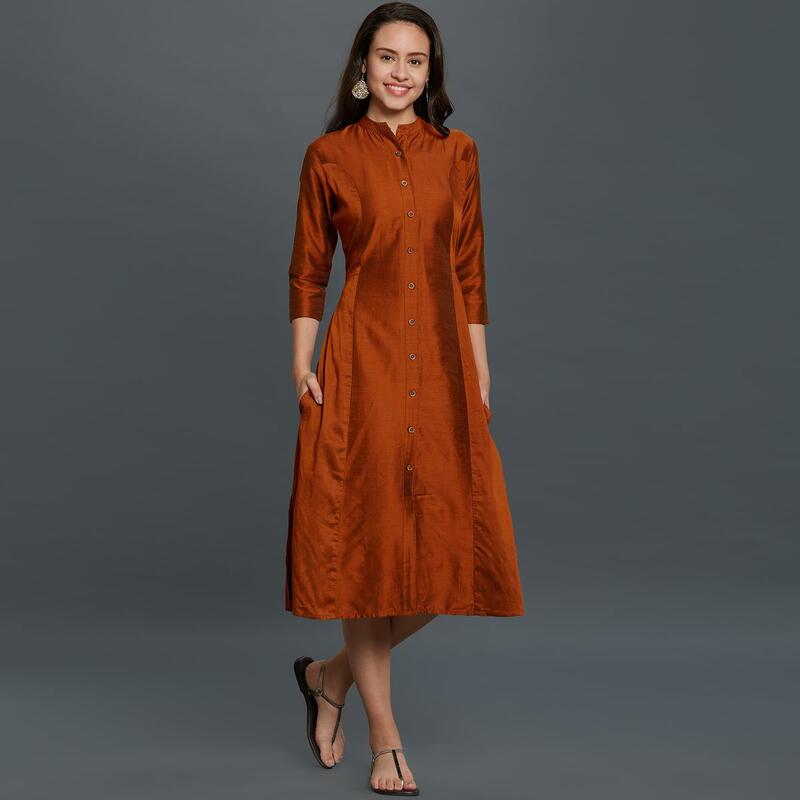 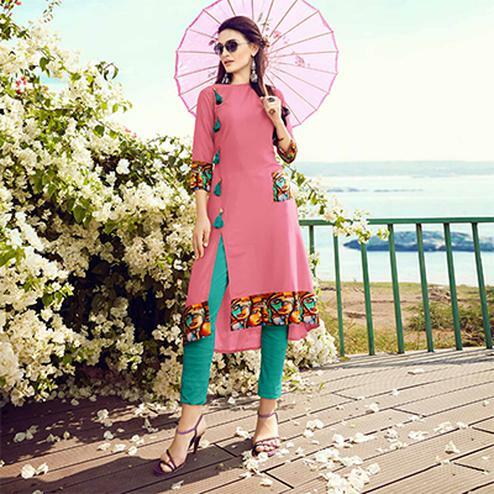 This elegant kurti is made of cotton fabric and the touch of beautiful chinese collar neckline with princess cut look and front button placket with side pocket are such a pretty touch to this kurti which highlights the attire among the people. 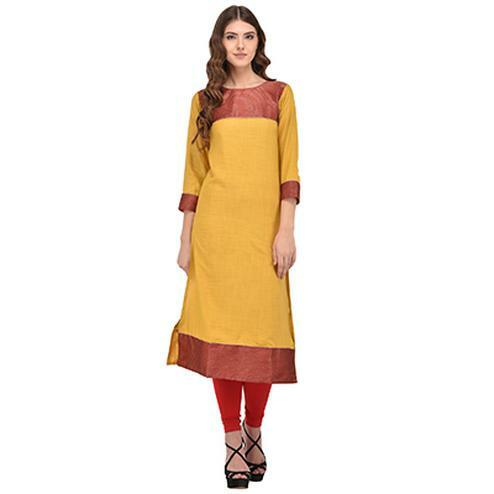 Cotton fabric makes it very comfortable to wear for office wear, weekend get-together and events. 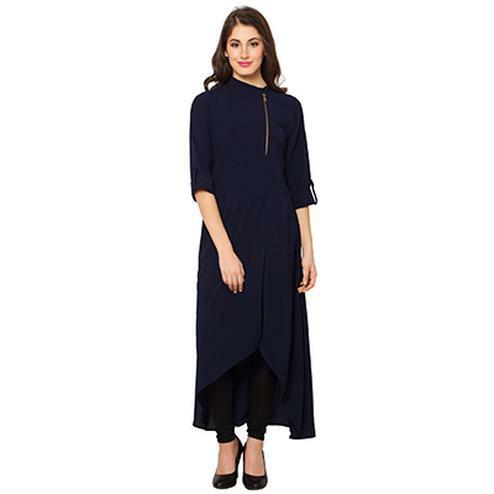 Pair it up with leggings or jeans to create a contrasting effect, along with heels & stylish accessories and you are good to go.